Good. 1847383734 ALL BOOKS SHIPPED WITHIN 1 DAY OF PURCHASE! Very Good. Paula Wiseman Books. Intended for a juvenile audience. An Amazing ABC Safari for Preschoolers! In Matthew Van Fleet's incredible new multi-concept book, over 100 creatures and plants from A to Z hilariously demonstrate action words, synonyms, opposites, and more. Young explorers are challenged to spot four plants or animals that begin with each letter of the alphabet. Good. Paula Wiseman Books. Intended for a juvenile audience. An Amazing ABC Safari for Preschoolers! In Matthew Van Fleet's incredible new multi-concept book, over 100 creatures and plants from A to Z hilariously demonstrate action words, synonyms, opposites, and more. Young explorers are challenged to spot four plants or animals that begin with each letter of the alphabet. Very Good. 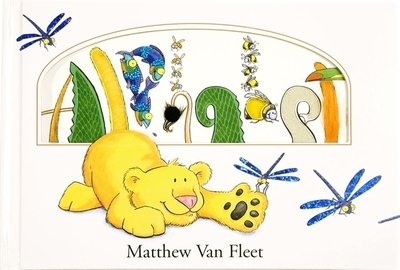 From the bestselling author Matthew Van Fleet comes a companion to bestselling TAILS, an alphabet book that will dazzle and delight! 20 p. Full colour. Intended for a juvenile audience. Good. From the bestselling author Matthew Van Fleet comes a companion to bestselling TAILS, an alphabet book that will dazzle and delight! 20 p. Full colour. Intended for a juvenile audience.